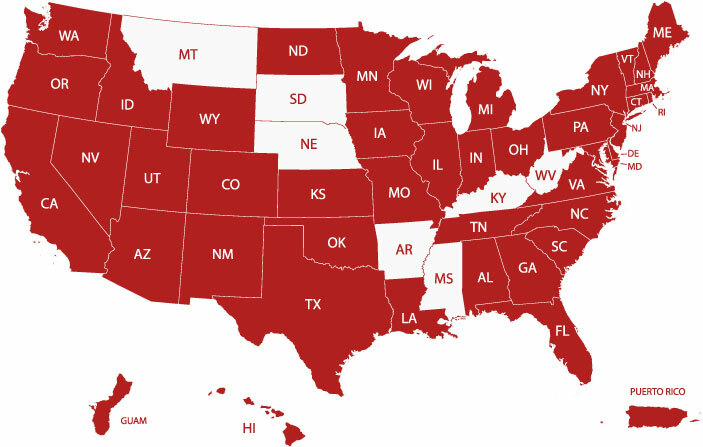 States of Licensure – Starling Madison Lofquist, Inc.
We currently hold professional engineering licenses in the following states as well as Guam, Puerto Rico and D.C. as shaded in red below. If you have a specific project in mind for a state that is not listed, we are able to obtain additional licenses. Please don’t hesitate to contact us directly to make special arrangements.